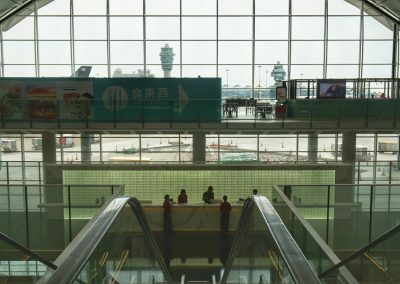 On my latest trip to Hong Kong, I flew American’s ultra-longhaul flight between DFW and Hong Kong on both outbound and the return. 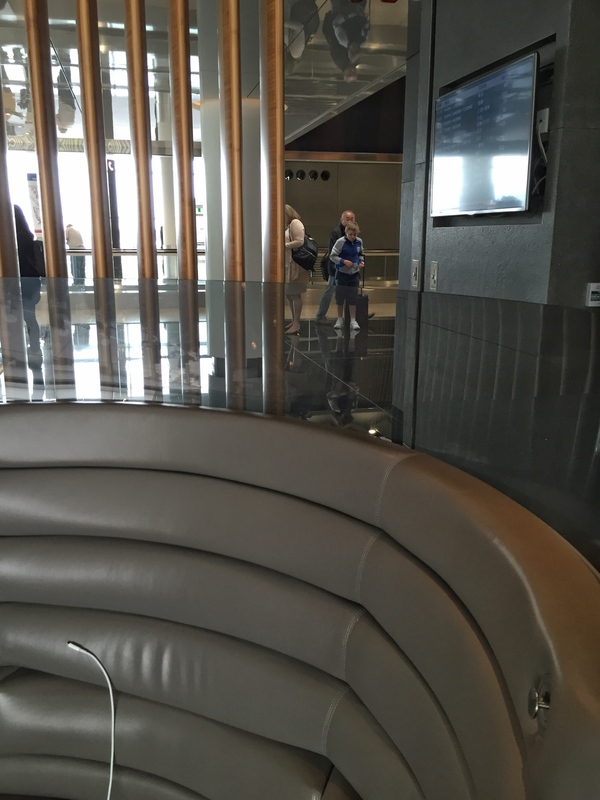 I did visit the American Airlines Admiral Club at DFW on the outbound flight which is an okay lounge. 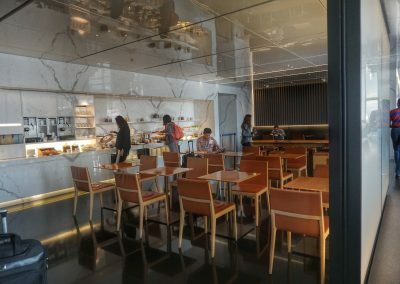 However, in comparison, the Cathay Pacific lounges at HKG are fantastic. 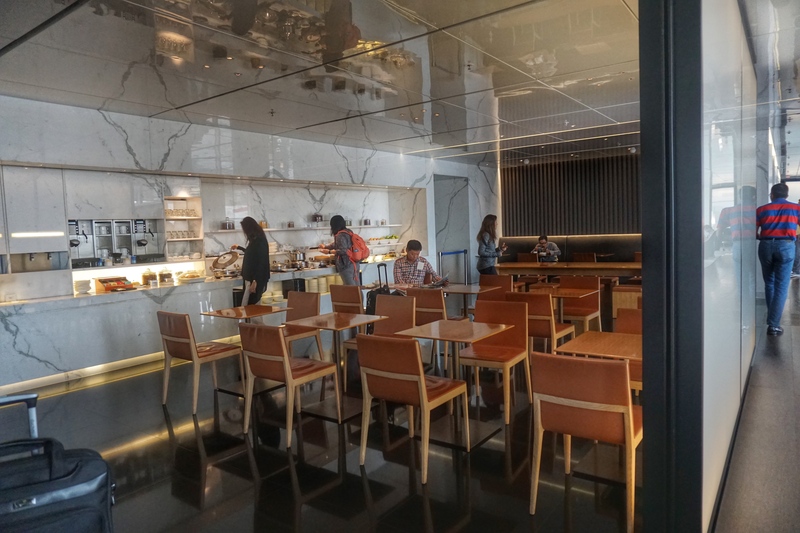 With a 2:30 PM departure from HKG on my return flight, I arrived fairly early to the airport as I wanted plenty of time spend in one or more of the Cathay Pacific lounges. 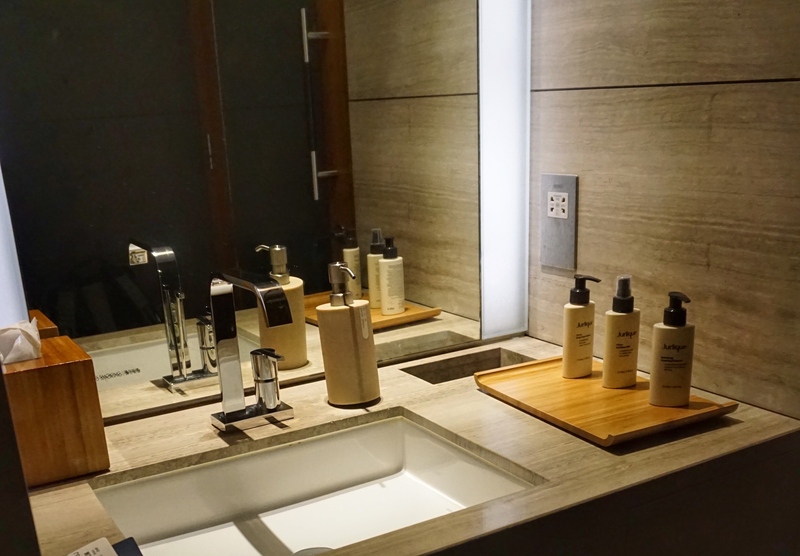 I hold OneWorld Sapphire status which provides access to Business Class lounges on international itineraries, regardless of the class of travel. 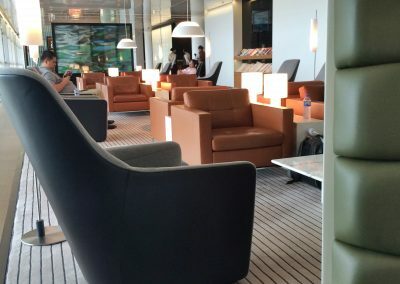 You can also visit these lounges if you hold a Business Class ticket aboard a OneWorld (i.e. American Airlines, Cathay Pacific) carrier on the date of travel. 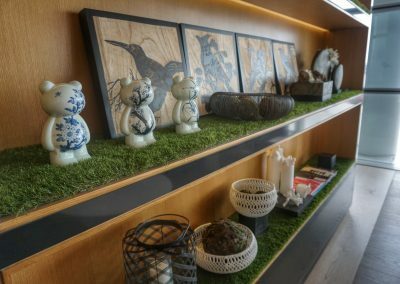 If you are traveling in First Class or your hold OneWorld Emerald status, you can access the even more exclusive Firs Class lounges. 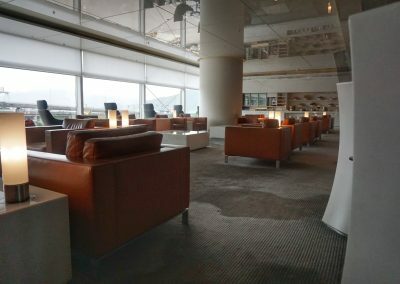 Ultimately, I had plenty of time to visit not one, but two lounges before my flight. 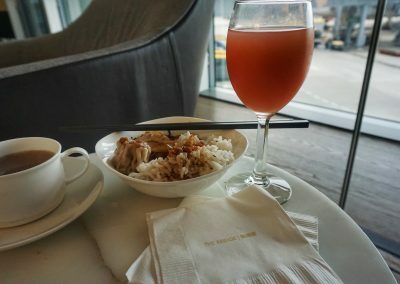 This was my first visit to The Wing Business Class lounge and my second visit to The Bridge Business Class lounge in Hong Kong. 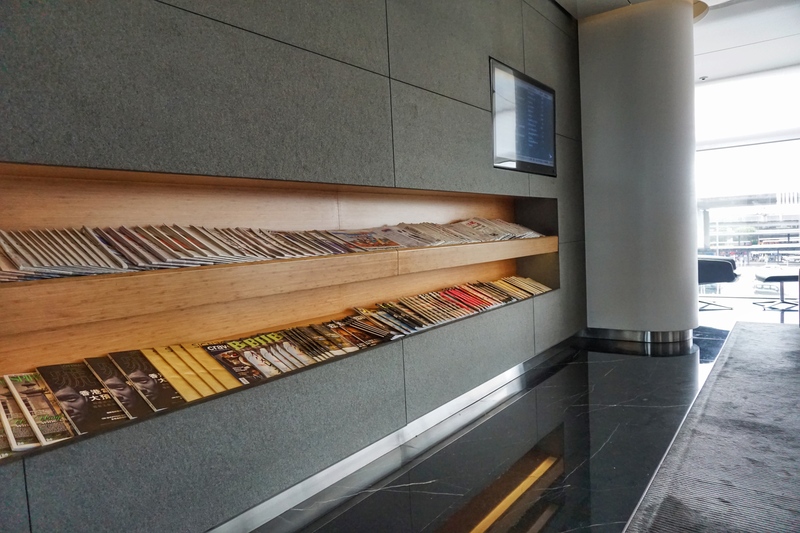 The Wing lounge features both First Class and Business Class lounges which has very separate entrances. 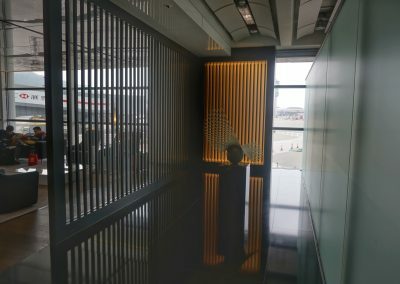 I didn’t have access to the First Class lounge so I headed downstair, post-security to the Business Class lounge entrance. 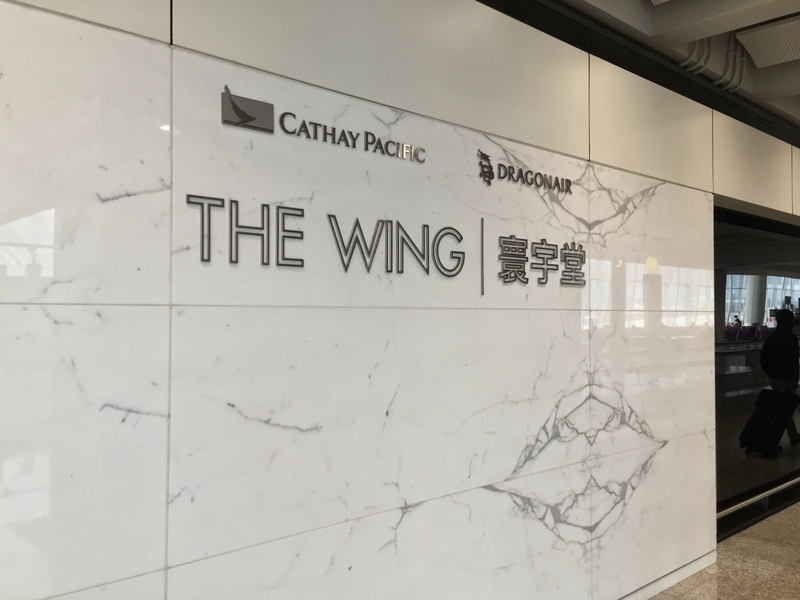 The entrance is large relative to the size of the lounge and there were several Cathay Pacific staff members waiting at the front. 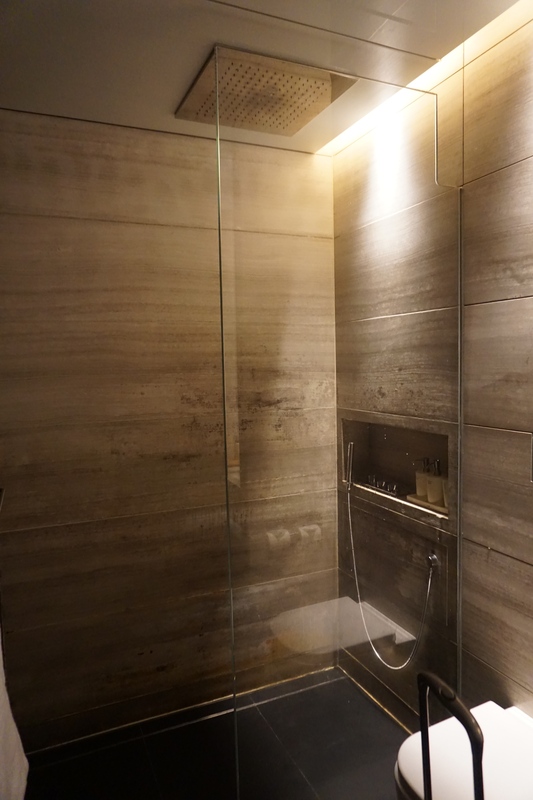 They checked me in right away and I immediately headed for the shower suites. 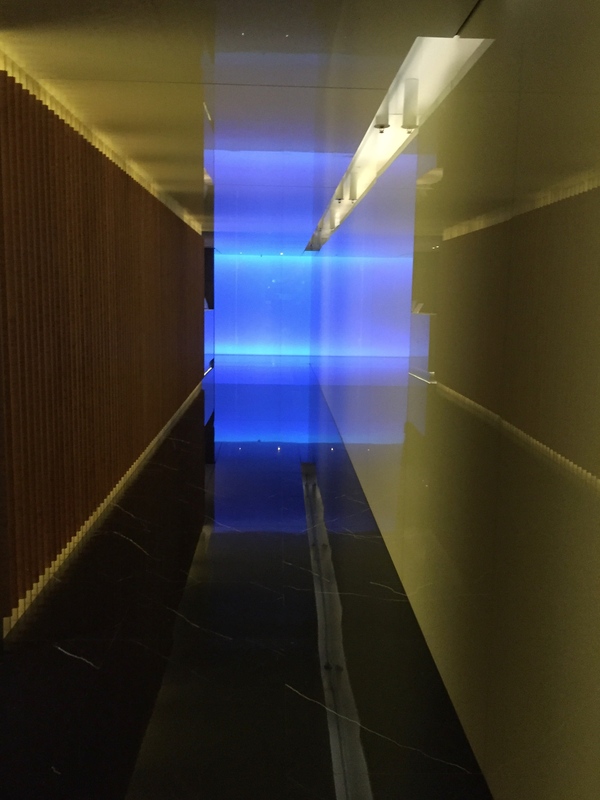 The entrance to the shower suits is very cool. 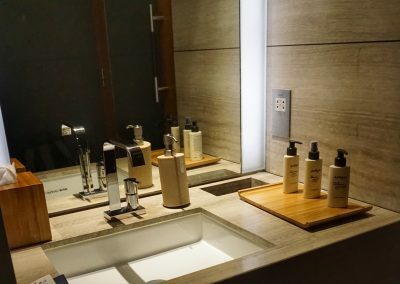 Cathay Pacific puts a lot of thought (and expense!) into their finishes. 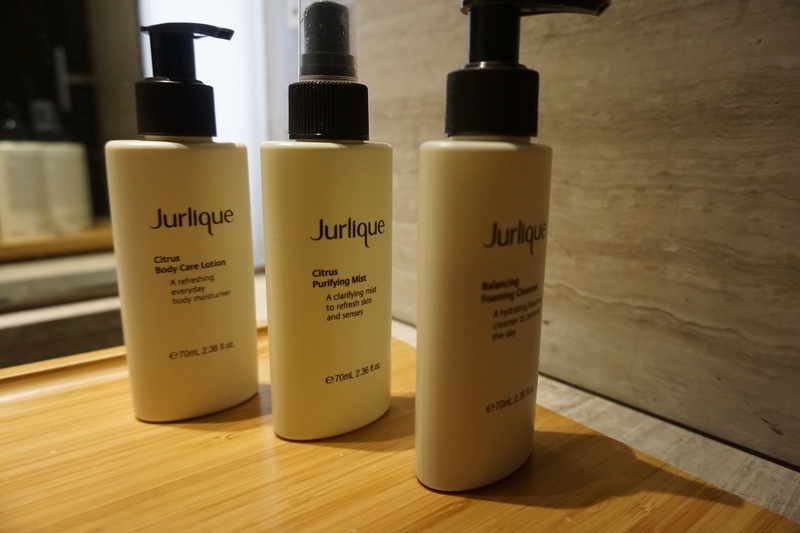 The shower suite featured a wonderful rain shower with Jurlique toiletries. 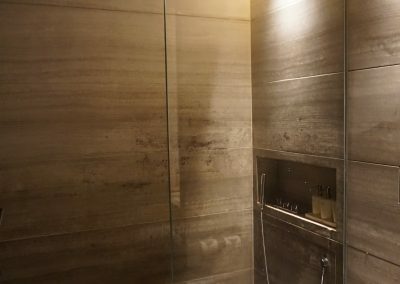 I hate to board a flight sweaty or stinky so being able to take a shower at the lounge is a gigantic plus for me! After freshening up, I had a small snack to see what they had in The Wing. The lounge is well designed with high end furnishings and fixtures. 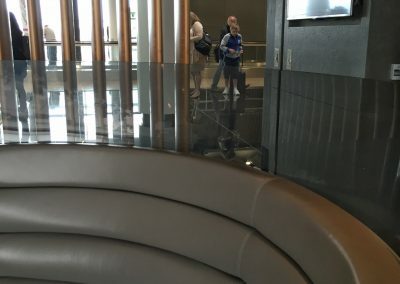 While The Wing Business Class Lounge is small, there was plenty of seating during my visit. The lounge was not crowded at all.While the food was great, I knew the variety was better at The Bridge. Also, the view…..well it leaves much to be desired. 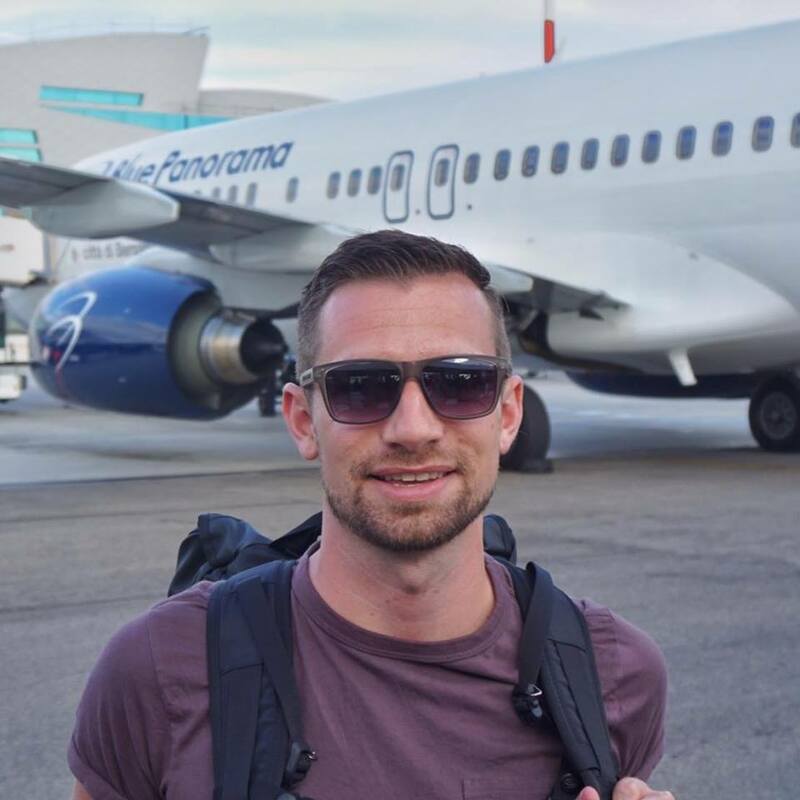 I like to do a bit of plane watching and The Wing Business Class lounge overlooks…..a parking lot. For cars. 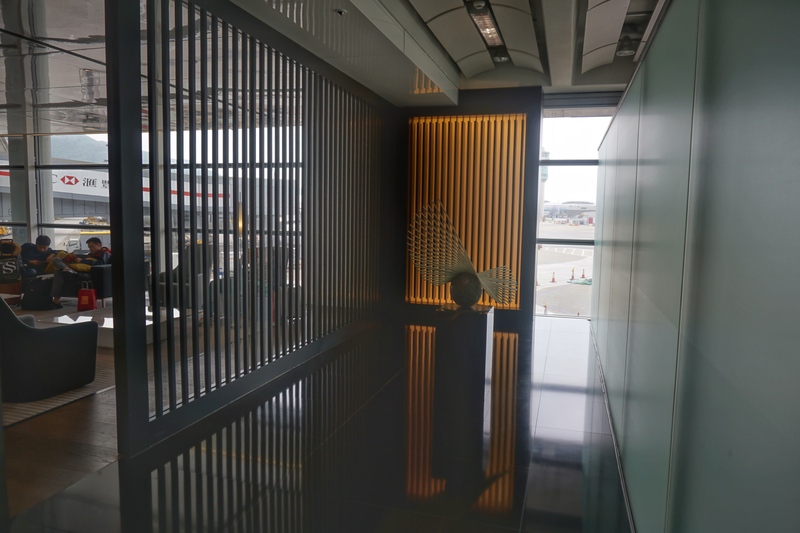 Also, there is very little privacy from the main terminal in The Wing and you could all the terminal noise from the main lounge seating area. I had a bit of trouble with The Wing’s WiFi but eventually it came online for me. 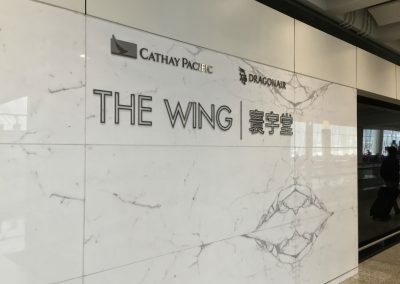 I’ve heard lots of compliments of The Wing being the best lounge so I can only assume one is referring to the First Class version. 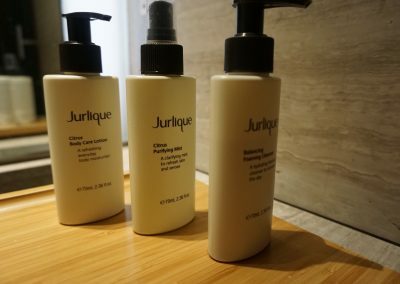 While The Wing Business Class lounge has fantastic shower suites and is an overall lovely lounge, the food selection is small and the main lounge is too open to the main terminal. After I got a good feel for The Wing, I decided it was time to head over to some familiar territory: The Bridge. Not many lounges have a dramatic of an entrance as The Bridge and I love it. 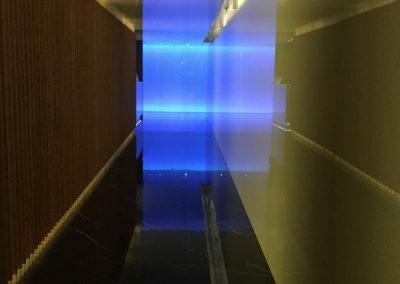 From the check-in desk, you can head to the left or right side of the lounge. I like the left side as it’s quieter and less crowded. The right side has the full service bar if you want to chat with the bartender. Both side have self-serve drinks. 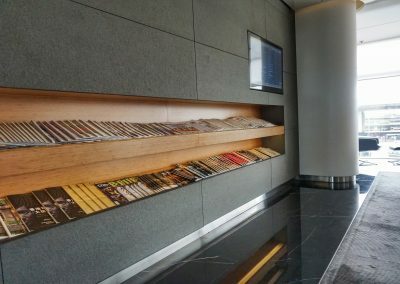 Like the other Cathay Pacific lounges at HKG, no expense is spared in the Bridge. The lounge is spacious, bright, and well furnished. I love all the small details of the art and decor. There’s plenty of seating and room to spread out. 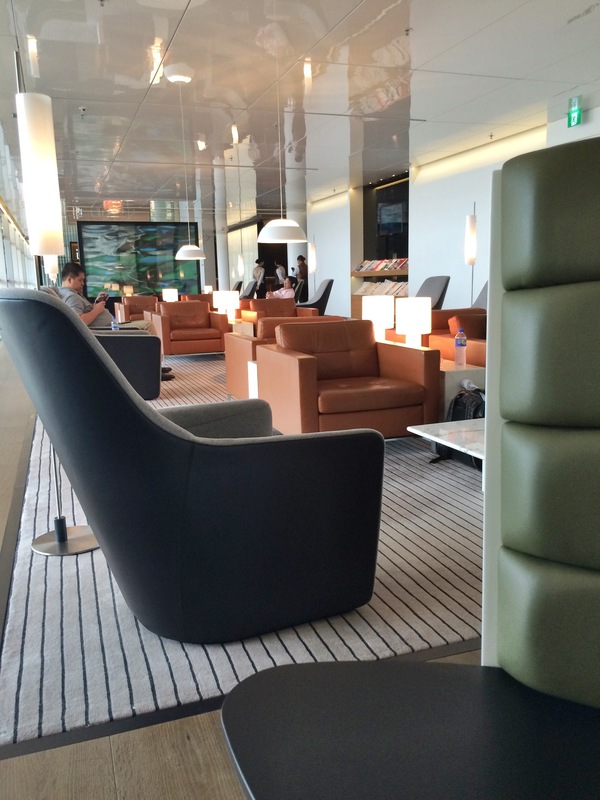 There are plenty of seating options including the famous “Cathay Pacific pods” that you’ll find in all Cathay lounges. 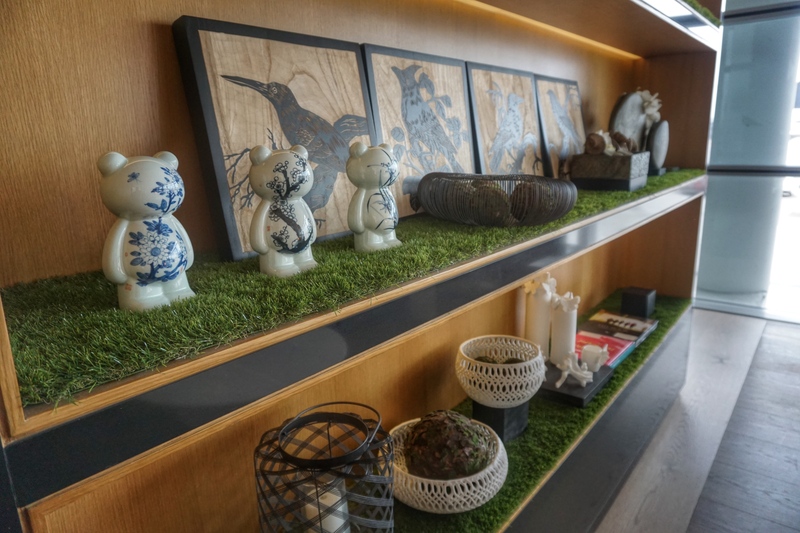 For Business Class lounges, The Bridge features the best food spread. You won’t find any sad, cold snacks in this lounge. The food here is worth going out of your way for. This is hot, restaurant-quality dining. 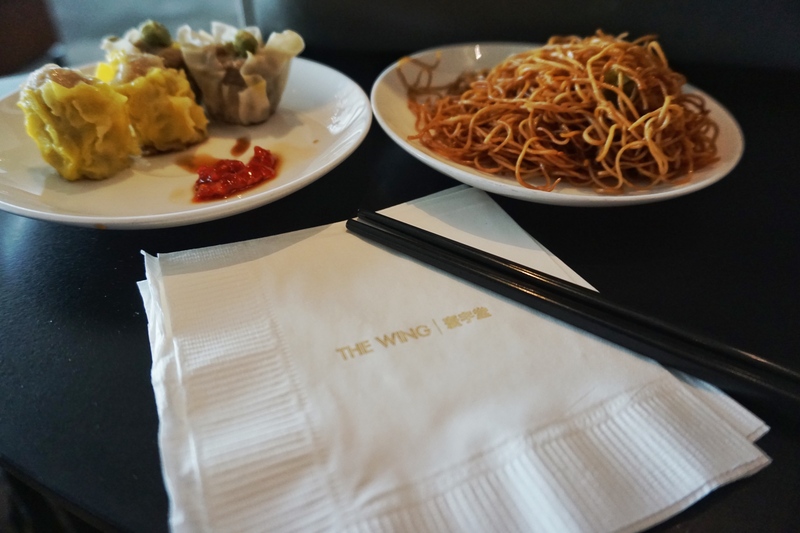 The Hong Kong cuisine like noodles and dumplings are top notch. 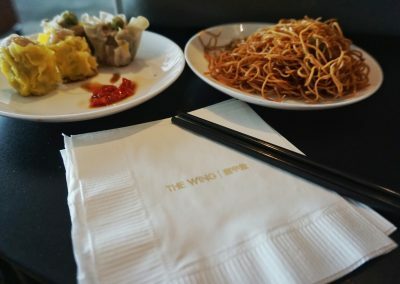 And don’t forget to try the Signature XO sauce!The WIFI in the Bridge cooperated for me without any issues and the speed was good. 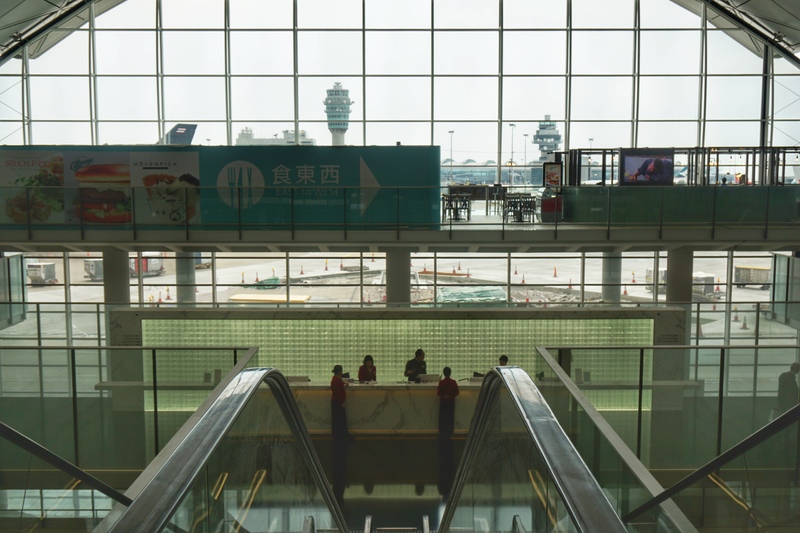 Although, the HKG terminal WiFi isn’t exactly terrible in terms of public airport WiFi. After about 1.5 hours in The Bridge, it was time to say goodbye. The Bridge is located near the “fork” in Terminal 1 between Gates 40 and 60. I was departing from Gate 46 so fortunately my walk was on the short side. 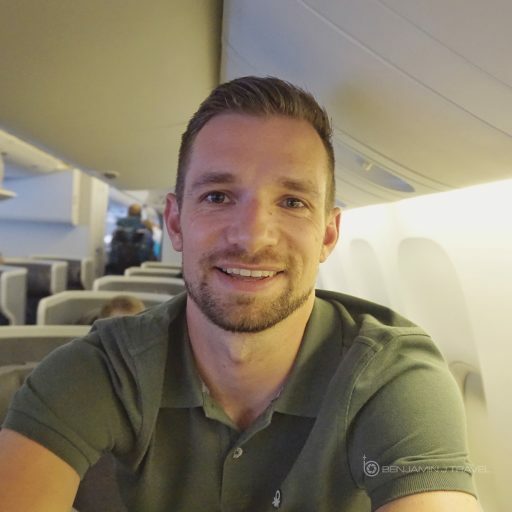 After 10 minutes at the gate, I boarded my 777-300ER for the 14 hour journey back to Dallas!The VerdictUltimately, these are both two very nice lounges. If you have a a long connection, why not visit more than one? There’s also The Pier at HKG which I have not yet had a chance to visit. 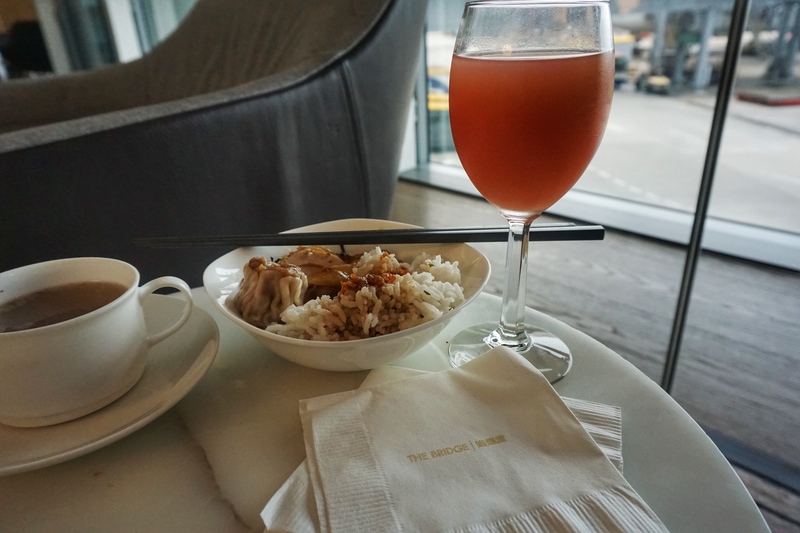 But if you only have time to visit one Business Class lounge, go for The Bridge. 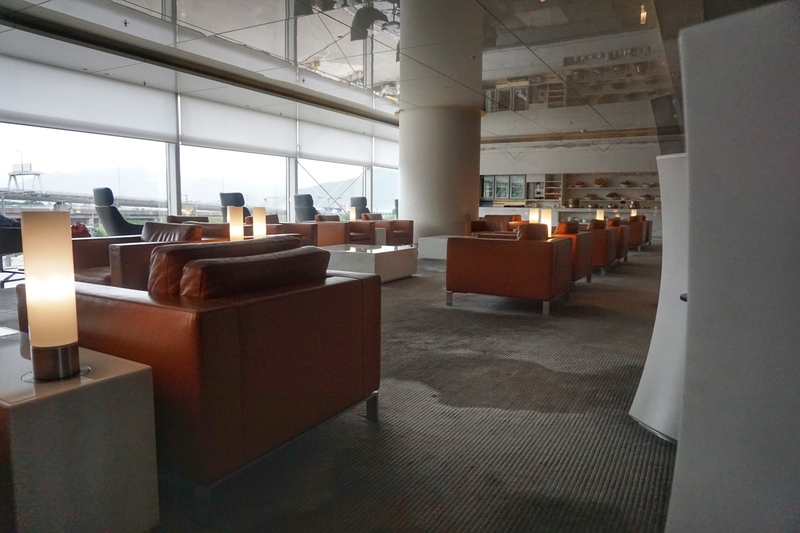 The lounge has more space to spread out, the food selection is better, and the tarmac views are best in my book. 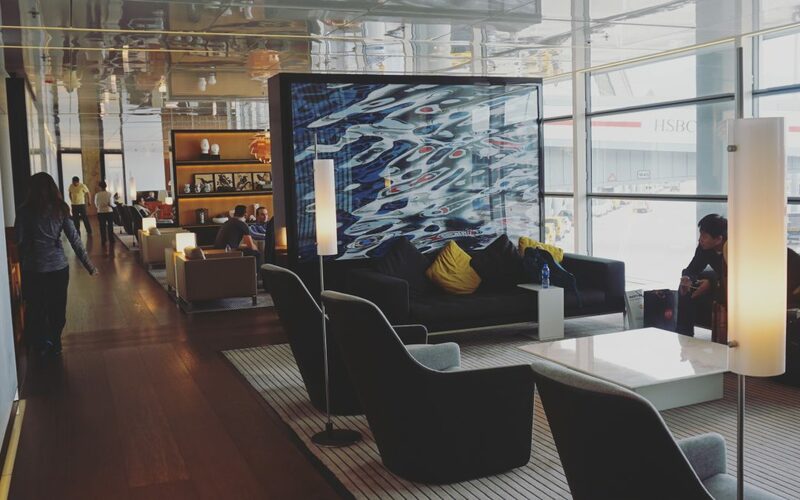 Either way, these lounges still put your average U.S. domestic lounge to shame!